After signing multiple cabinet brands to fully enter the cabinet market and hand in hand with Easyhome, Gome once again announced the acceleration of the layout of the home intelligent industry chain. Gome’s CFO Fang Wei said: “Gome is currently undergoing strategic structural adjustments, including new cabinets, HVAC, central air conditioning, home improvement business, kitchen space and other new businesses that have moved from incubation to acceleration. Gome’s stores are developping the kitchens, professional store with integrated cabinets, kitchen appliances and kitchen utensils maintains a high growth in new business." According to reports, Gome is currently cooperating with Pinduoduo, Carrefour, Easyhome and Red Star Macalline in new channels. Among them, Gome and Pinduoduo are exploring deeper cooperation in the 3, 4 and 5 line county markets, including channels, logistics and post-service. 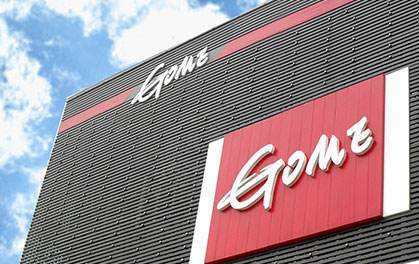 The third quarterly report released by Gome Retail shows that the company's overall GMV reached 98.8 billion yuan, and the comprehensive gross profit margin for the first three quarters was 18.1%. In the new business, central air-conditioning sales increased by 80% year-on-year, and floor heating sales increased by 145% year-on-year. At the same time as the joint manufacturer conducts new business layout, Gome also plans to build an open smart home platform and provide services such as voice portal, artificial intelligence, OS system, and IoT platform.